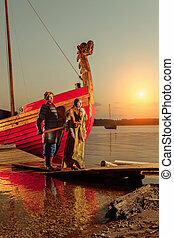 Brave north warrior with his beloved are standing on the pier. 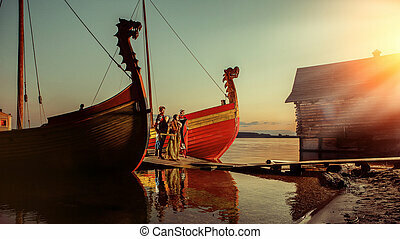 sailing ship on the background. 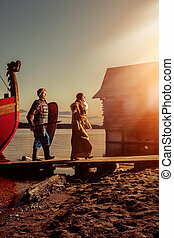 Brave North Warrior With His Beloved Are Standing On The Pier. 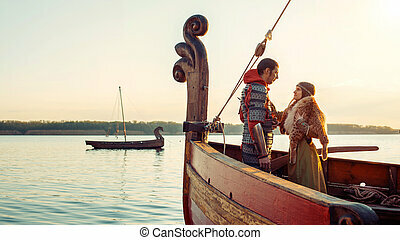 Brave north warrior with his beloved are standing on the bow of a ship and looking at the sea. 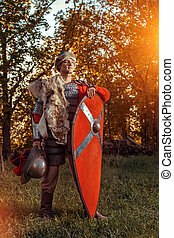 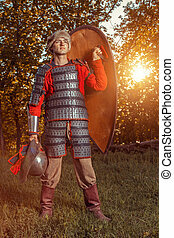 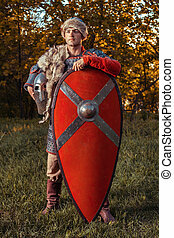 Brave slavic warrior with shield on the summer forest background. 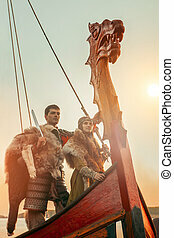 North princess and warrior with sword on the sailing ships background. 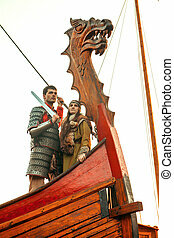 Couple of North princess and her beloved warrior on the bow of the sailboat. 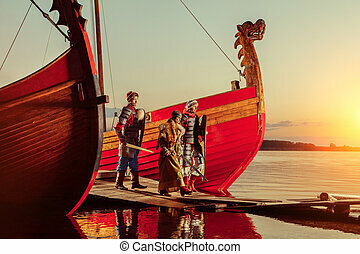 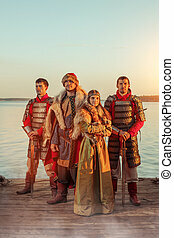 North princess and two warriors with swords on the sailing ships background. 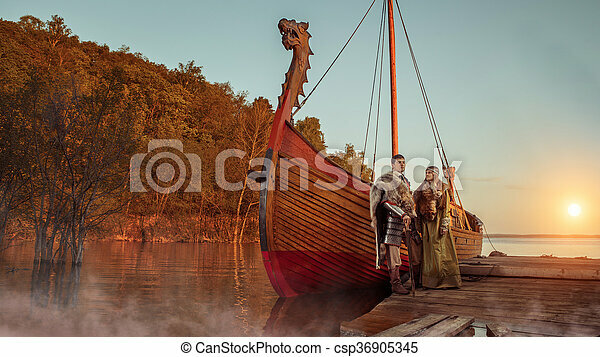 North prince with the princess and two warriors with swords on the river background. 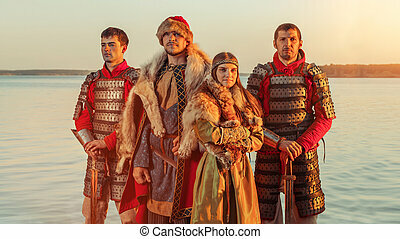 North prince with the princess and two warriors with swords on the sailing ships background. 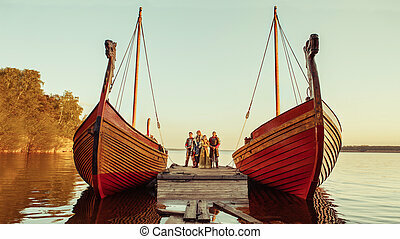 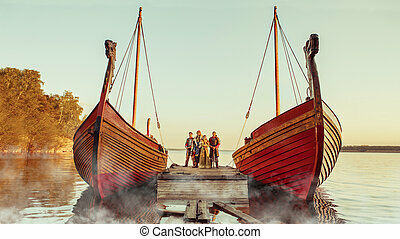 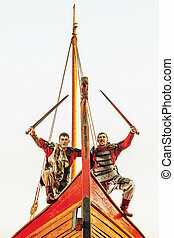 Two warriors in armor with the swords on the bow of a sailing ship.